The Epicurean Gripper 15 x 11 in. 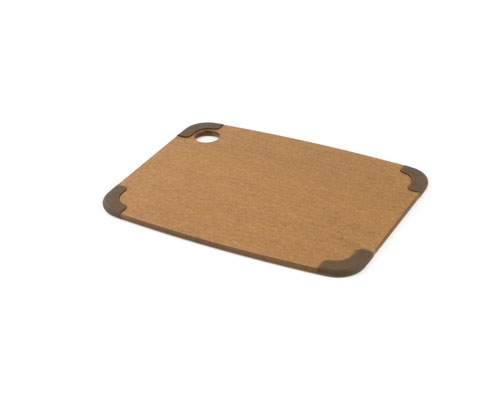 Nutmeg/Brown Cutting Boards are a great alternative to other cutting boards that just take up space on your counter tops. Since they store easily, just take them out of a cabinet or drawer, place them on your counter top and go to work. 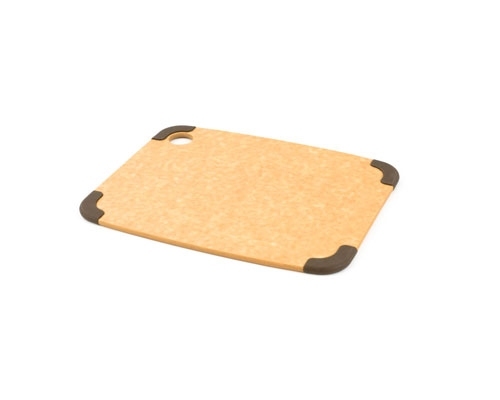 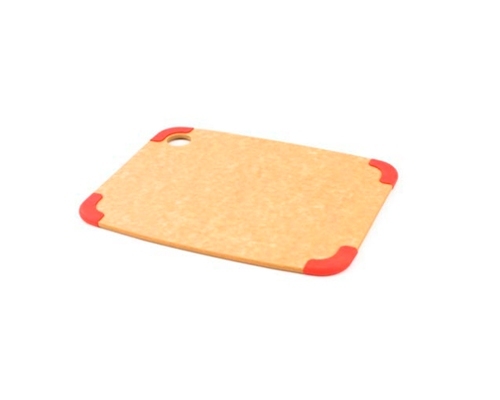 These cutting boards stay in place, because of the soft silicone corners. 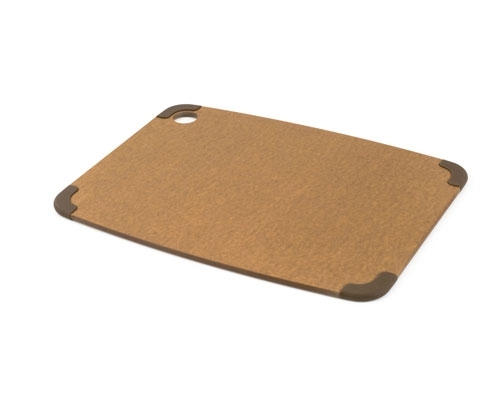 When you're done, toss it in the dishwasher, and put it away.